Insects are the most successful living organisms on the Earth. That's just one reason it makes good sense to balance one against the other, rather than trying to kill pests with poisons. It is also true that in nature there are no good or bad bugs. All are trying to make a living in the way nature programmed them. But from a gardener's perspective, some insects help and some don't. It's smart to learn about and exploit insect behaviors. In this article you'll learn how to wisely purchase and use beneficial insects. Releasing large quantities of a beneficial insect into your garden can work in several ways. Sometimes it's like a biological insecticide: The bugs you buy go straight to your pests, clean them up and then disperse or die off. Sometimes the beneficials have limited effectiveness on target pests, but then go on to establish a local population of beneficial offspring that live on from year to year, helping to reduce the background level of pests. And sometimes the good bugs consume just a few of your pests before flying away. When we say that one of the insects described below provides control, we mean that a release can make a significant dent in the population of the target pest. Most beneficials will eat many different kinds of insects, but eating a few isn't control. Praying mantises, for example, feed on a wide range of pests but almost never serve to control outbreaks of any of them. In many instances, the beneficials will only give you partial control, so you may occasionally need sprays, too. Be careful to select a time and a material that will do minimal damage to the bugs you have bought. Often the best strategy is simply to increase the biodiversity of your garden. "Simplify" an environment--by spraying an insecticide or by growing only one kind of plant--and problems get out of hand quicker. Make an environment more complex and problems are less likely. Accomplish this in your garden by planting a wide range of plants and by not using broad-spectrum insecticides. Learning to use beneficial insects will make you a smarter gardener. Start by ordering some catalogs. Most suppliers provide some direction on how to use what they sell, although the quality of these details--and the prices--can vary greatly. Shop for quality as well as quantity. When you realize it's time to resort to the bug busters, it's often best to phone your order in. Most suppliers are very aware of the need to transport living cargo quickly and use express shipping when appropriate. There are about 50 "good bugs" raised and sold commercially today. Many are very specific to regional or agricultural pests. Some are expensive or only available in limited quantities. Others, such as the praying mantis, are common but of limited usefulness. Those listed here are widely useful and available. This small wasp that parasitizes the greenhouse whitefly has a long history of success in greenhouses. It can work almost as well outdoors when greenhouse whitefly attacks tomatoes or other plants. But Encarsia is not particularly well adapted to control sweetpotato whitefly. It will naturalize only where greenhouse whitefly is found year-round, essentially places that are completely frost-free. Order this parasite as soon as you notice a whitefly population building. Good control occurs, however, only when minimum average temperatures are at least 72°F (for example, 62°F at night and 82°F or more in the day). At those temperatures, the Encarsia wasp can develop as fast or faster than the whitefly population. Insecticidal soaps and horticultural oils that you might also use on whiteflies don't harm the wasps seriously. Two releases one to two weeks apart will last the whole season. Lacewing larvae are voracious. They are sometimes called aphid lions, but will eat just about anything they can subdue, including thrips and small caterpillars. Lacewings are most commonly sold as eggs, mixed with a carrier like bran or rice hulls. You can also buy the larvae. They cost about 10 times as much as the eggs but may be a good value, given that ants and other predators often eat a great portion of lacewing eggs. Purchased eggs or larvae are best used as a biological insecticide--sprinkle them near a serious outbreak of a pest. The larvae will feed in the area as long as there is plenty of prey, and then your lacewing population will disperse. There is little point in buying adult lacewings. It's more economical to attract one of the dozens of species native to North America. No matter where you live, there should be wild lacewings nearby, though not in as dense a concentration as you get when you release 500 or more eggs from a supplier. The adults of most species feed on nectar and honeydew produced by aphids and other sucking insects like leafhoppers, whiteflies and mealybugs. You can build up the population of wild lacewings (and help keep the adults that hatch from the eggs and larvae you release) in your garden by applying a sugar and protein mixture that simulates this honeydew. Dribble it onto the foliage near your garden, and especially near a pest outbreak. Commercial preparations of these insect foods have names like Pred-Feed and Bug-Chow. The most widely available biological control is the convergent lady beetle, Hippodamia convergens, which feeds on small soft-bodied insects, especially aphids. These lady beetles are field collected rather than reared in insectaries, largely because they aggregate in large masses in the foothills of California and are easily gathered when dormant. Typically, collected lady beetles have not matured eggs and are ready to migrate immediately, dozens of miles away. Releasing them in your garden is fun but does almost no good against a pest outbreak. Recently one supplier has begun offering convergent lady beetles that it has "preconditioned" by feeding them long enough for eggs to mature. Another advantage to this practice is that parasitized lady beetles can be culled out, slowing the spread of the tiny wasp that kills them. 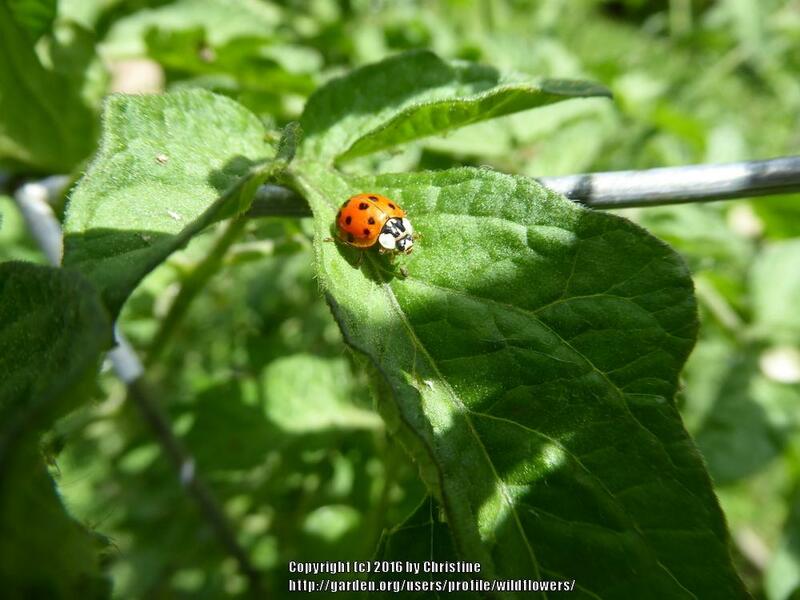 Preconditioned lady beetles will stay in your garden as long as the food supply lasts, eating aphids and laying eggs to produce larvae that also eat aphids. This small wasp, Pediobius foveolatus, parasitizes Mexican bean beetle larvae. It's native to India, where it attacks a related insect. It cannot survive American winters in the bean beetle's range. Order the pedio wasp early in the season, when you first notice adult bean beetles. By the time it arrives for release, the bean beetle larvae will be starting to hatch. The wasps control bean beetles very succcessfully if introduced early in the season this way. They're more effective than the spined soldier bug, the only other biocontrol for bean beetles. Each species has different requirements for temperature and humidity, so discuss your needs with the supplier at the time of ordering. All predatory mites require fairly high humidity (70 percent or more)--their effectiveness may be lower in dry regions. They also prefer to forage on plants without hairy leaves. Release predatory mites early in the season. Watch carefully for incipient spider mite or thrips populations, then order predatory mites immediately by phone. The mites are perishable and require special shipping, one of the reasons for their high cost, around $20 per 1,000. Your concentrated population of mites will disperse when the food source becomes scarce, so you will need to order more mites if outbreaks occur later in the season. Predatory mites are very susceptible to soap sprays and other insecticides, so use soaps only before the mites arrive. Nematodes, or roundworms, teem in the soil of lawns and gardens everywhere. Some are major plant pests but the great majority feed on soil microorganisms. A few prey on insects, injecting them with lethal bacteria, then feeding on the resultant "goo". Several strains and species of predatory nematodes are produced and sold. Many were originally discovered in soil of the southern United States, although they rarely become abundant even where they are native. Purchased nematodes generally need to be released annually to provide dependable control. Steinernema carpocapsae is sold under the names BioSafe, BioVector, ScanMask and Exhibit. It is very effective against caterpillars and beetles that live in the soil. This is bad news for beneficial ground beetles but good news if you have problems with cutworms, cucumber beetles, corn rootworm, flea beetles and others. These nematodes also work on raspberry borers, squash borers (inject them into the stems) and peach tree borers (paint them on the trunks). Unfortunately, they don't seem to work as well on thrips, or root maggots and other fly larvae. New techniques of packaging these nematodes mean they can be stored several months at room temperature, which is why they are showing up in garden centers. Although this beneficial occurs across North America, it isn't commonly found anywhere. Both nymphs and adults feed on caterpillars and the larvae of beetles, including Colorado potato and Mexican bean beetles. They can eat caterpillars that are so big that few other predators can handle them. Because spined soldier bugs don't exist in high numbers anywhere, you can increase the population near your garden by buying and releasing them. There is only a single supplier of spined soldier bug. There is also a pheromone lure, the Rescue Soldier Bug Attractor, which is a unique product. Most pheromone lures draw only males, so are only good for monitoring insect populations. This one attracts females and is a good way to concentrate wild soldier bugs in your garden. Because it's hard to spot pests' eggs and because Tricho wasps are usually cheap, the best strategy is to plan on weekly or biweekly releases to keep up with new egg laying. Many suppliers are glad to ship on this schedule all season, if you request it. The wasps arrive ready to emerge from eggs of their insectary hosts, which are glued to a card. Prices vary widely, so shop for a good deal. Trichogramma wasps control the same insects that Bt does. Bt won't hurt the wasps or their developing young, so you can use Bt to kill caterpillars that escape the wasps.